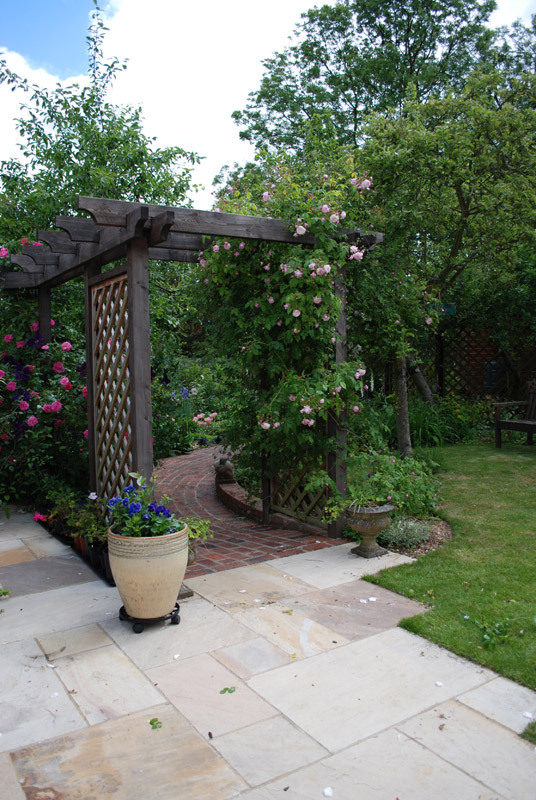 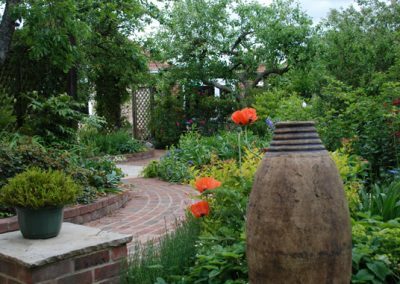 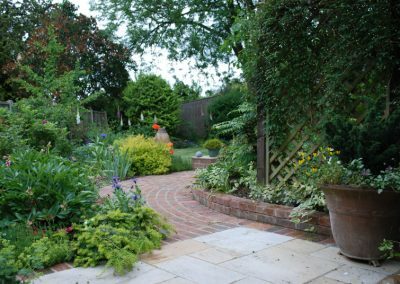 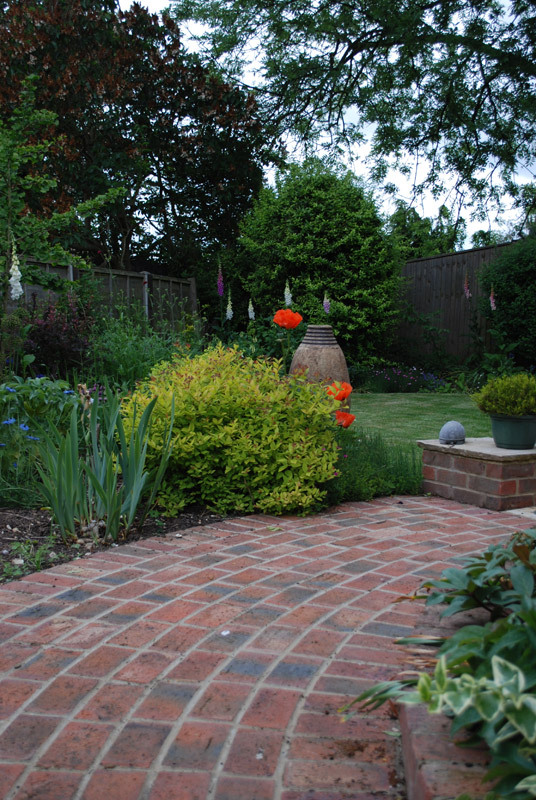 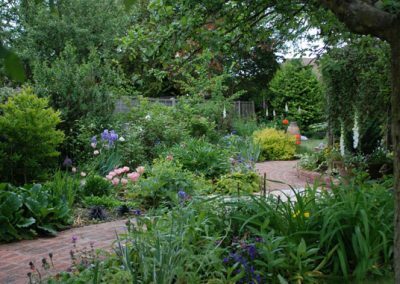 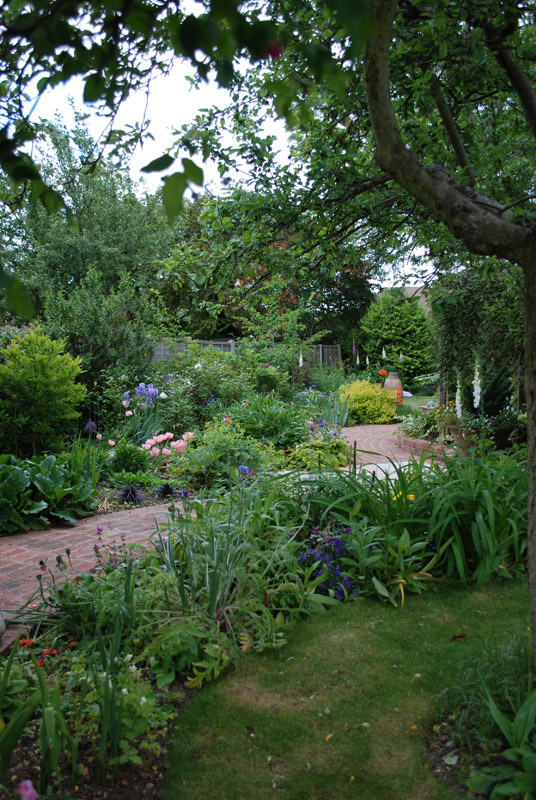 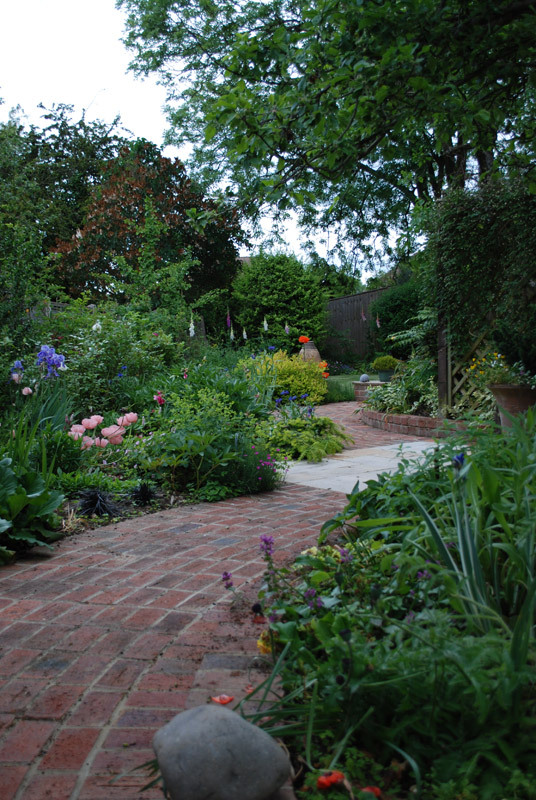 The client who owned this garden had always been keen in pottering and tending to plants. 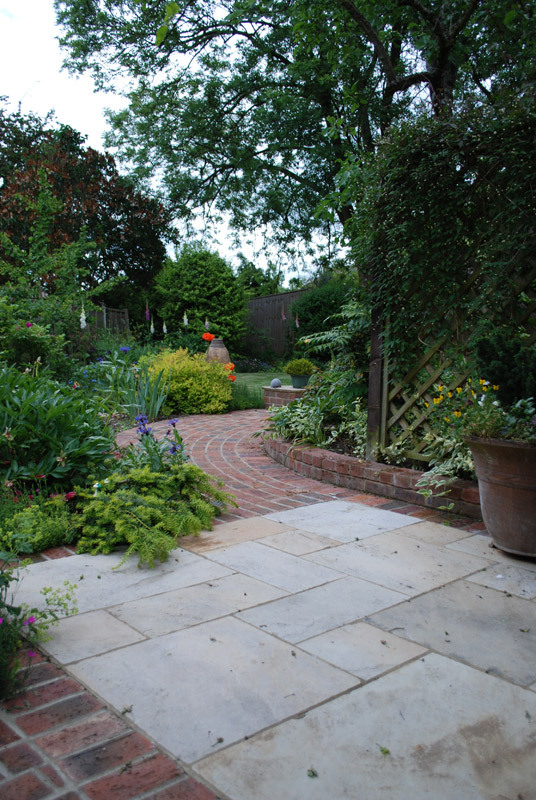 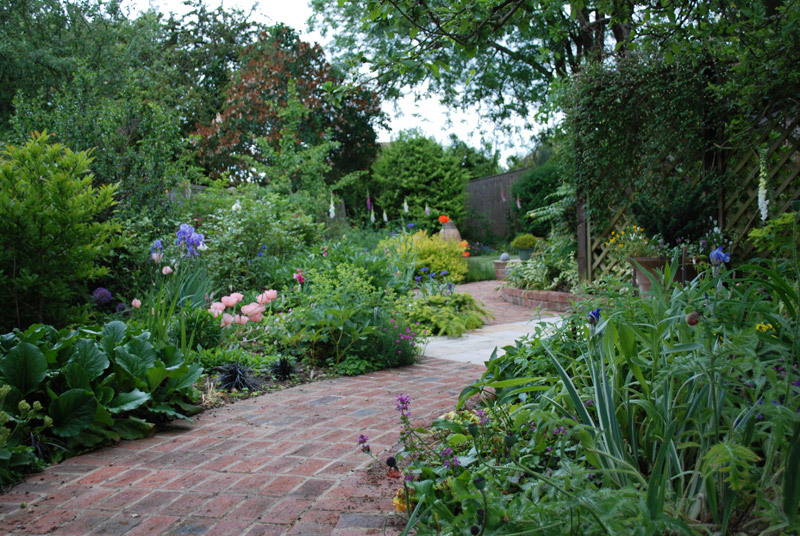 The brief was to create deep herbaceous planting areas with a path to lead through the various spaces. 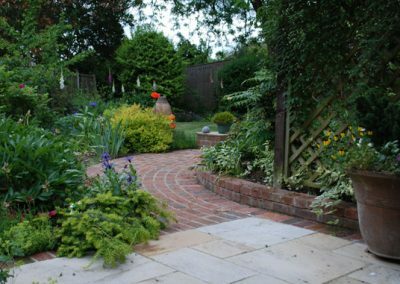 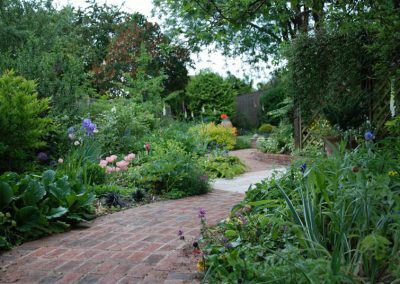 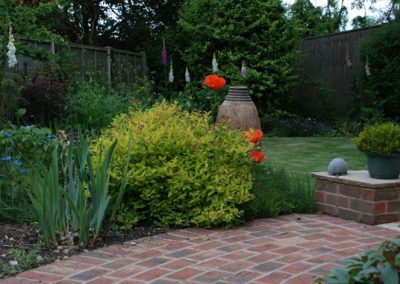 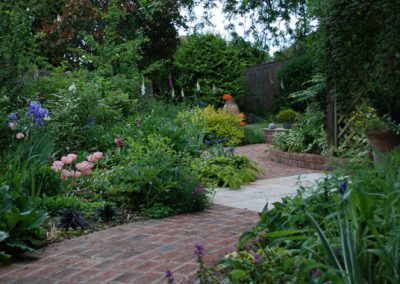 We created the paths using pointed stock bricks and created contrast by laying riven Sandstone slabs to form the larger feature paved areas. 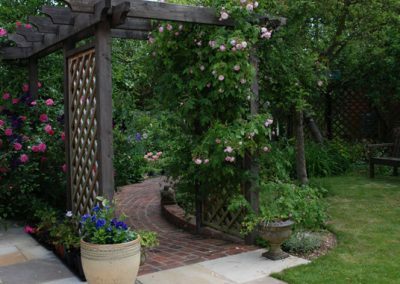 Timber trellis and pergolas were designed in to the scheme in order to add a sense of scale, screening and shade…these were then softened with climbing plants. 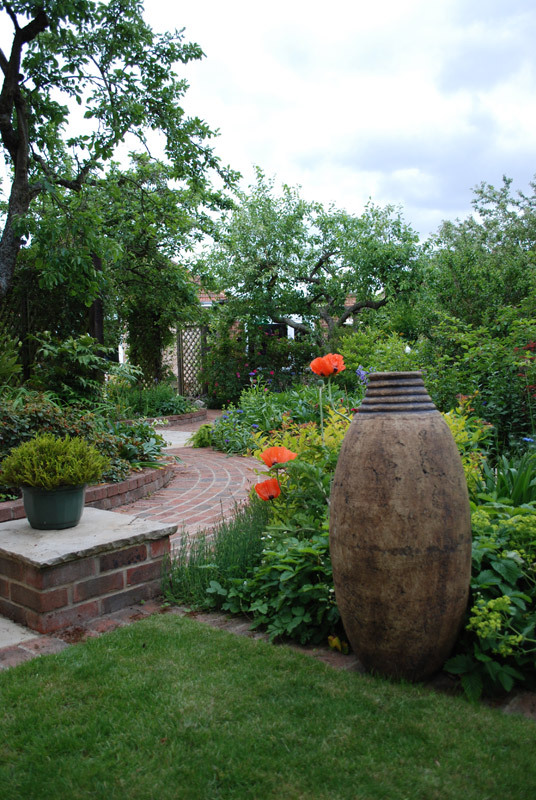 Pots were used to break up the paving areas and to crete focal points throughout the garden.